Like Earth's coastal lighthouses, nearby stars (examples in OCTANTS) can help us avoid enroute hazards. Nearest stars also provide useful BEARINGS to precisely track progress to our destination. Destination star can act as a homing beacon to keep vessel on course; perhaps even more important, it helps us detect possible "gravitation lensing" a likely sign of on course hazards such as brown dwarfs and singularities (i.e., "black holes"). Destination star makes a magnificent homing beacon. Since vessel can always see its destination, it should stay on course throughout the multi-year voyage. However, vessels needs to track both duration and distance to properly monitor progress. Vessel must start 1-G deceleration at precise distance from destination. Not only is the star quantity (perhaps 1022) finite, but they are mostly "bunched up" into many galaxies, a much lesser number (perhaps 1011); at best, human eye perceives most galaxies as a point of light. Also, given that "brightness" decreases as the square of the distance from the light source, no wonder that our "night time" is much darker than day time illuminated by our nearby sun. ACCELERATION TIME. TE assumes vessel’s high performance particle accelerators can g-force accelerate vessel for one year duration. Thus, vessel starts voyage with one year of g-force propulsion to attain cruise velocity of .644 light speed (c) and distance of .377 LY. TOTAL TIME FOR FIRST LY. Earth observer measures first light year's total travel time as sum of acceleration time plus cruise time. CONSTANT VELOCITY DURING CRUISE. Earth observer measures Total Travel Time for a typical LY as result of 1 Light Year divided by cruise velocity. SIMULATED GRAVITY DURING CRUISE. To conserve fuel, the vessel must cruise with no propulsion. Thus, the vessel must simulate Earth gravity via centrifugal force (spin about longitudinal axis). DECELERATION: Assume it's axiomatic that G-force vessel will need same duration and distance to slow from cruise velocity (.644c) as was required to accelerate. In the 1930's, Georges Lemaitre, a Catholic priest, proposed the Big Bang theory of creation. Einstein, himself, applauded this theory. Of course, modern science accepts the "Big Bang" theory of creation which would put the age of the Universe at 13.2 billion years (give or take), and the diameter of a spherical Universe could be about 26.4 billion light years (assuming expansion from some "central point" at the speed of light). Earth observed duration/distances will greatly interest Earth occupants, but they will be of little use to the vessel. At light speed (c), optical photons and/or communication electrons will take years to travel between Earth and vessel (assume vessel velocity = .6443c). HUGE INTERSTELLAR DISTANCES introduce problematic communication delays. EXAMPLE: Let ship be at position A, 3 LYs from Earth. Thus, vessel's status report takes 3 years to reach Earth. 1) During that 3 years, Earth observes ship's travel at another 1.93 LY (= .6443c × 3yr). 2) Earth's immediate response will take another 3 years to reach Position A, and ship travels yet another 1.93 LY. 3) Such delays will cause vessel to reach destination well before receiving most Earth based replies; thus, vessel autonomy is inevitable. ACCELERATION. Since velocity increases throughout acceleration, each day’s dilation also increases. Initial daily dilation is 0 and final day’s dilation at .6443c is .765. Previous numerical analysis indicates total dilated time as .9 year (less than Earth observed 1 year). CRUISE. Earth observes cruise time during first LY as .97 year; however, time dilation causes Vessel to observe corresponding time as .742 year. First LY's Total Travel Time. Vessel observer measures as sum of dilated acceleration time plus dilated cruise time. for each LY of cruise distance traveled by vessel. For voyage’s last LY, vessel observer measures sum of dilated cruise time plus dilated deceleration time similar to 1st LY. EXTREMELY CRITICAL FLIGHT PHASE: Vessel must start g-force deceleration EXACTLY at .377 LY prior to destination. DECELERATION. Assume G-force vessel will need same dilated duration as acceleration. Ship based autonomy is critical for voyages to other stars. 1) Interstellar distances prevent timely guidance Earth based facilities. 2) Vessel's high cruise speed (perhaps .6443c) relativistically shrinks time; thus, navigator must use ship based observations. An accurate timepiece might help track vessel's progress. Chronometer Current technology, cesium clock, can accurately track time to greater than one part per trillion (1012). With precisely measured vessel velocity, accurate DRs should stand them in good stead, assuming empty space (pure vacuum) throughout their voyage. However, a prudent crew would still want to confirm DRs via other methods, such as: stellar luminosity, communication capsules, and bearings to nearby stars. 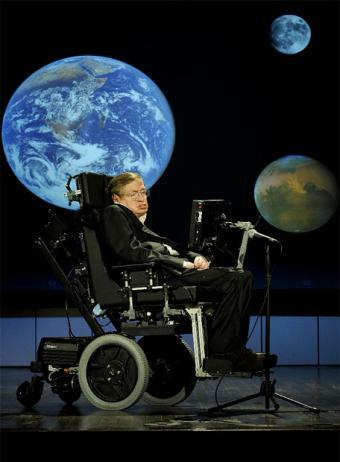 Renowned astro-physicist, Stephen Hawking, stated that black holes (i.e., singularities) exist throughout space. As a matter of fact, he proposed an average density of one singularity per cubic light year. What are the chances of a singularity being close to the course line of an interstellar voyage? ... close enough for concern?? That's why light from a stellar destination is so important. If a singularity is on or near that route of flight, light from the target star should show some anomalies. For given aperture, extend exposure duration until CCD collects 100,000 photons from home star, Sol. For subsequent measurements use same aperture and exposure time to properly compare quantity of photons collected. Since vessel is traveling away from Sol, expect photons to decrease parabolically as shown in table. For given aperture, extend exposure duration until CCD collects 1,000 photons from Groombridge 34. For subsequent measurements use same aperture and exposure time to properly compare quantity of photons collected. Since vessel travels toward G34, expect photons to increase parabolically as shown in table. STELLAR LUMINOSITY:Historically, astronomy has used Standard Candles to estimate distance based on brightness. Almost all astronomical objects used as physical distance indicators have a known brightness. By comparing this known luminosity to an object's observed brightness, the distance to the object can be computed using the inverse square law. Now, in the digital age, modern astronomy uses CCDs to precisely count photons, very accurately; thus, brightness is now a very dependable, granular measurement. Thus, a vessel can predict and confirm continuous increase of photons by a series of measurements of photon collections by fore CCD as well as a series of continually decreased photons measured by aft device. Each series requires a baseline conducted near beginning of vessel’s cruise phase. EXAMPLE: Let this vessel do both baseline measurements at exactly 1 LY from Sol. 1) As vessel goes further from Sol, a precise photon count should verify a parabolic decrease in quantity of collected photons emitted from Sol. 2) As vessel nears destination star, note a parabolic increase of photons from that star. An occasional object might cross near the vessel's course; such objects might be observed as either eclipses or transits in front of destination star. An occultation occurs when a nearby object totally or partially blocks the view of an observed star (i.e. eclipse). During an interstellar voyage, a rogue planet or a brown dwarf could conceivably cross the course line to temporarily occult the view of the destination star. However, such an event seems very unlikely. A transit occurs when a smaller body passes in front of a larger one. Throughout most of an interstellar voyage, it seems very unlikely to obtain an optical image showing a distinct silhouette of an object crossing in front of the star. Light curve below the diagram demonstrates the lower light levels during the transit. Light would likely decrease less than 1%; HOWEVER, CCDs count individual photons and have readily detected such variations since the 1980’s. This seems to be the most likely cause of decreased brightness anomalies throughout most of an interstellar voyage. For interstellar vessels, flares will slightly increase photon counts by CCD monitors. A stellar flare is a rapid, intense increase in brightness due to routine, anomalous magnetic energy release in the stellar atmosphere. Associated radiation emits across the entire electromagnetic spectrum. While emitted energy quantity is massive (typically 1020 ergs, equals a billion tons of TNT), it is relatively modest compared to star’s total energy; thus, observed star shows a slight increase in brightness. Flares are sometimes accompanied by a coronal mass ejection. A Coronal Mass Ejection (CME) is a giant cloud of charged particles (plasma) erupting out of a star during a series of strong, long-duration stellar flares. Figure’s coronagraph displays the corona by covering Sol with a small disk (much like an eclipse). CMEs cause strong geomagnetic storms as well as enhanced stellar brightness due to associated stellar flares; however, CMEs contain mostly slow plasma particles. CMEs funnel plasma particles to random nearby locations; thus, associated magnetic changes can degrade many technologies on a interstellar vessel in star's vicinity. Binary stars (two orbiting stars) are common in Sol's stellar neighborhood. Certain binary stars will increase brightness from a distinct minima when smaller star hides behind its larger companion. This “eclipsing binary” has its orbital plane in the observer’s line of sight. Thus, these companions undergo mutual eclipses with periodic variations in brightness. A lesser minima happens when the smaller star passes in front of the larger; this annular eclipse is shown above. Algol is currently the best-known example of an eclipsing binary. Inevitable variability in star brightness compels one to carefully consider other navigation methods. From terrestrial navigation, borrow two time tested techniques: distance markers and celestial Lines of Position (LOPs). Nearest stars also provide useful BEARINGS to precisely track progress to our destination. Navigators can use bearings to determine Lines of Position (LOPs) during interstellar voyages. When multiple LOPs cross course line at same position at same time, navigator gains a successful "fix" to greatly increases his confidence in ship's position. During cruise (constant velocity portion of voyage), multiple fixes help the navigator accurately predict future positions. LOP quantity depends only on navigator's resources and resolve. With over 50 stellar systems within 15 LYs of Sol, 50 sextant systems could generate full time LOPs to constantly resolve position fixes. Rogue Planet, also known as a free-floating planet, is a starless, planetary-mass object, ejected from its original planetary system. Some scientists predict billions of rogue planets in our Milky Way Galaxy. 1) Direct imaging enables continuous observation of discovered rogue planets. Unfortunately, only young, massive rogue planets emit enough radiation to be discovered. On the plus side, out of the glare of a host star, a discovered rogue planet can be easily observed. 2) Microlensing. When a planetary-mass object passes in front of a star, the object's gravitational field momentarily increases the visible brightness of the background star. This microlensing effect is fleeting, because the planet is moving relative to the background star. HOWEVER, microlensing can detect much lower-mass planets than the direct imaging method. Brown dwarfs are substellar objects with mass greater than the heaviest gas giant planets and less than the smallest stars (red dwarfs); typical mass is between 10 to 100 Jupiter masses (MJ). Some brown dwarfs even have planets. History: Brown dwarf (Teide 1) was first discovered by Spanish astrophysicists in 1994. Since then, over 1,800 brown dwarfs have been identified. Discovery Methods: Brown dwarfs are very faint at visible wavelengths; however, sensitive telescopes with charge-coupled devices (CCDs) can search distant star clusters for faint objects, such as Teide 1. 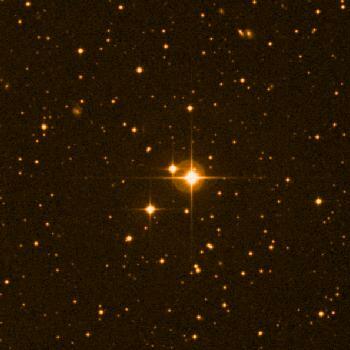 Wide-field searches often identify individual faint objects, such as Kelu-1 (30 LYs away). Brown dwarfs are often discovered in surveys of extrasolar planets; it turns out these methods of detecting extrasolar planets work even better for brown dwarfs. Black Hole. Due to conservation of angular momentum, gas going into a black hole will typically forms a disc-like structure (i.e. "accretion disk") around the event horizon. Gravitational Lensing. Due to black hole’s strong gravity field, gravitational lensing deflects light rays; this is similar to light passing through an optical lens. While strong gravitational lensing bends images completely around the accretion disk, weak gravitational lensing deflects light rays by only a few arc seconds. HOWEVER, weak lensing has never been directly observed for a black hole. Constant monitor nearby stars, blink comparator, transit, exoplanet detection, surprise light blockage, gravity lensing. A blink comparator analyzes same celestial area imaged at different times. By rapidly "blinking" different time views, one readily detects an object change positions. "Nearby" objects such as asteroids and comets "jump" back and forth, while stars (more distant) stand still. In modern times, CCDs have largely replaced photographic plates with astronomical images stored digitally on computer clouds. Thus, the blink technique is better done via an automatic application versus painstaking proofing of a pair of photo prints. Even better, image differencing algorithms more effectively detect moving objects and even measure the precise position of an object with known direction and rate of motion. 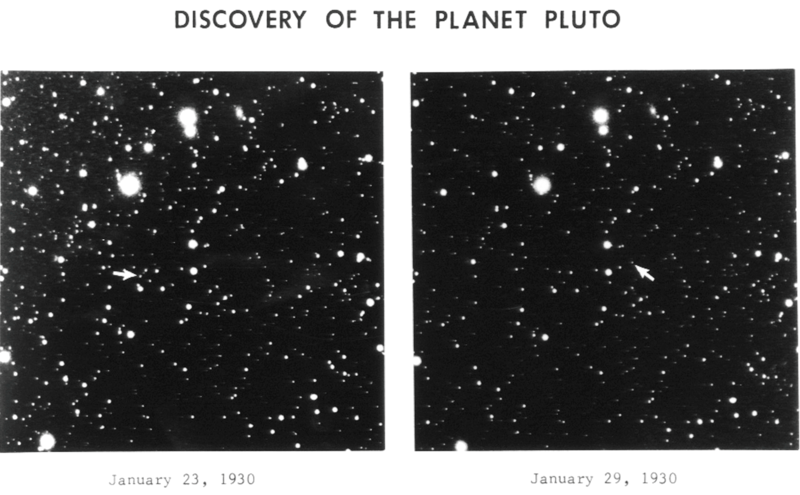 Lowell Observatory's blink comparator at helped Clyde Tombaugh discover Pluto in 1930. Gravitational Lensing. Fortunately, black hole’s immense gravity field deflects light rays from behind the black hole. Thus, a notional black hole exactly between a vessel and its destination star (EXAMPLE: Groombridge 34) could possibly result in gravity lensing such that G34 appears as four images (see artist concept at right). Without gravity lensing, the black hole would likely be undetectable with much greater risk to interstellar travelers. Hopefully, enroute black holes will be very rare; however, they pose a significant theoretical risk to nearby interstellar travelers. If a space ship fails to avoid a block hole's event horizon, it faces certain destruction as it is completely consumed. Even if it avoids this fate and just passes near the singularity, the subsequent gravitational strain will likely damage vessel's structure. Singularities can be Insidious Hazards. Black holes are surrounded by its event horizon, a spherical surface. Inside the event horizon's spherical volume, black hole's escape velocity exceeds the speed of light. If a vessel enters this boundary, it stays inside forever; even light can't leave. Is a black hole in our stellar neighborhood??? If so, how do we detect it? Two possible methods: occultation and/or gravity lensing. 1) Occultation would either entirely block or partially block the view. 2) Gravity lensing would distort the view (perhaps as shown above). If the view remains undisturbed, assume the singularity is not near the course line. Star Perturbations and Nemesis Theory .....physicist, Richard A. Muller, and others have postulated a stellar object, Nemesis, with a highly elliptical Solar orbit well beyond the Oort cloud. This object is theorized to pass through a portion of the Oort cloud about every 26 million years; thus, bombarding the inner.solar system with comets. Although the theory has many proponents, no direct proof of the existence of Nemesis has been found. DEATH STAR THEORY refers to Earth's periodic mass extinctions which may be caused by a cloud of comets (from the Oort cloud) every 26 million years. Some people hypothesize a not yet discovered planet, brown dwarf star or perhaps a black hole (prenamed: Nemesis) orbiting in the outer reaches of our solar system. Historical astronomers hypothesized on a very large object orbiting beyond Neptune based on observed perturbations of Neptune in its orbit. Searching for this object, Percival Lowell discovered, Pluto, now considered to be a large Kuiper Belt object, but certainly not large enough to have perturbed Neptune's orbit. Perhaps Nemesis caused these perturbations. Perhaps continuing perturbations might help us find Nemesis. Much effort has gone into searching for Nemesis, but of course there's a lot of sky to look at, and a dark object (very large planet, brown dwarf, black hole) would not reflect/radiate very much light to help us find it. It might be most likely detected by an occultation. For example if a well established star temporarily vanished, this would be a clue that Nemesis passed in front of it. Unfortunately, such a sighting might well be considered "noise" or another observational anomaly. Fortunately, interstellar vessels can easily deploy astronomical instruments to help both in finding Nemesis as well as avoiding enroute hazards. 1) PRIMARY CONCERN: Determine absence or presence of unexpected objects on course-line enroute to stellar destinations. ------a) Continuously monitor destination star for occultations, blink events as well as gravitational lensing events. ------b) Expand to wide field view to check for nearby events which might indicate objects approaching course-line. 2) SIGNIFICANT SECONDARY CONCERN: Monitor nearby stars (perhaps 50) as much as possible. ------a) Constantly resolve bearings for best "running fix". Time tracking and photon counts have inherent limitations. ------b) Expand to wide field views to discover many new objects via occultations, blinks and gravity lense events. 3) Send real time event details to comm stations; thence relayed, to other vessels as well as stellar bases. 4) Update celestial data base of nearby objects and determine whether to exploit them or avoid them.